Perfectly pitched extraction and cooking. 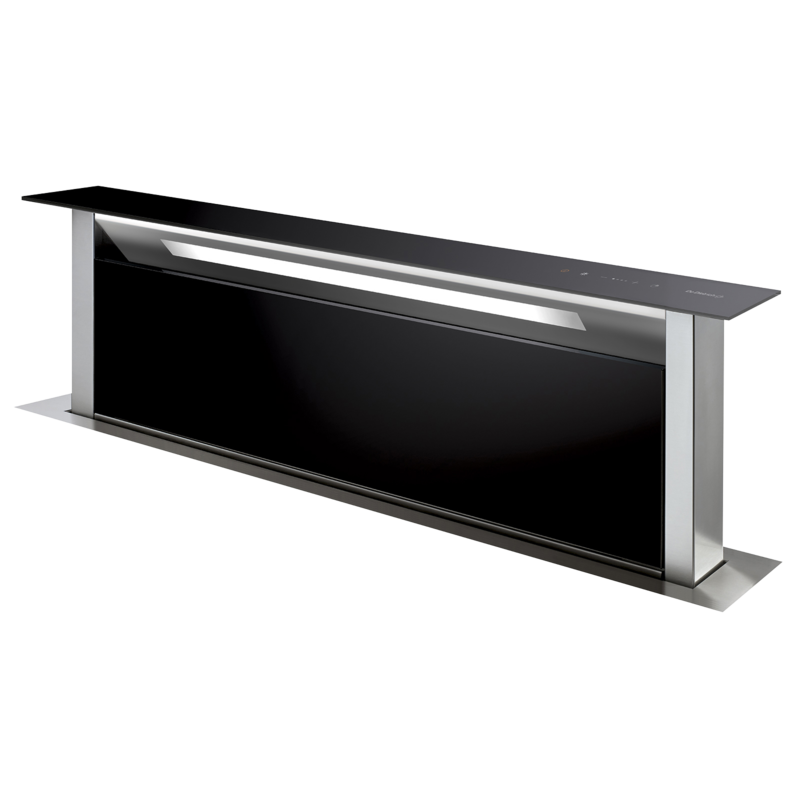 This 120 cm downdraft extractor hood can be used with all hobs and domino outfits in the Collection. Its motor is hidden away under the counter during installation to leave nothing but an understated black glass surface on show. The unit is wonderfully unobtrusive, in terms of both its discreet appearance and low noise levels during operation.